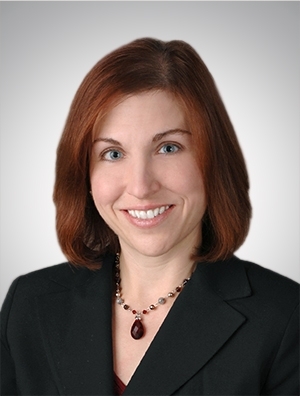 Cynthia Faur practices in the area of environmental law. In her practice, she advises clients in all aspects of environmental regulation, including solid and hazardous waste regulation, clean water issues, endangered species issues, and Superfund. Ms. Faur has substantial experience in advising clients on all facets of the Clean Air Act, including permitting, air quality modeling, New Source Performance Standards, hazardous air pollutants, mobile sources, fuel additives, and ozone-depleting substances. She also advises clients on a variety of climate change and sustainability issues, including the regulation and reporting of greenhouse gas emissions, and on environmental justice considerations associated with the siting and operation of industrial facilities. Counseling clients, including power generation and wind power companies, on air quality, noise, zoning, and endangered species issues related to the siting of new facilities. Negotiating Nonattainment New Source Review (NSR), Prevention of Significant Deterioration (PSD), and Title V permits for numerous clients throughout the United States. Advising a client in the Chicago-Naperville, Illinois-Indiana-Wisconsin ozone nonattainment area on the generation of nitrogen oxide (NOx) and volatile organic compound (VOC) emission reduction credits (ERCs) from the retirement of a large emission source. Advising power generation clients on implementation of and potential challenges to federal greenhouse gas regulations. Representing a large Midwestern utility in permitting the major modification of two coal-fueled generating units subject to the NSR and PSD programs. This permitting action included the generation of emission offsets for the fine particulate matter and the establishment of greenhouse gas best available control technology (BACT) limitations. Successfully negotiating a major Clean Air Act settlement on behalf of a power generation client. This settlement, one of the first in the EPA’s power plant enforcement initiative, not only resolved all potential past violations of the federal NSR and PSD rules but provided a future resolution of certain claims concerning those permitting rules. Representing numerous clients, including chemical companies, paper mills, and electric generation companies, in all aspects of state and federal enforcement, including responding to government information requests. Negotiating agreements for the purchase of renewable energy certificates (RECs). Representing a client in connection with a request for an aquifer exemption under the Safe Drinking Water Act to facilitate construction of an underground injection well. Working with corporate and real estate clients to evaluate and mitigate environmental concerns in complex transactions, including mergers, acquisitions, and property transfers. Advising clients on the consistency of environmental marketing claims with the Federal Trade Commission's Green Guides. Participating in the development of the environmental plan included in Chicago 2016's bid to host the 2016 Olympic and Paralympic Games.